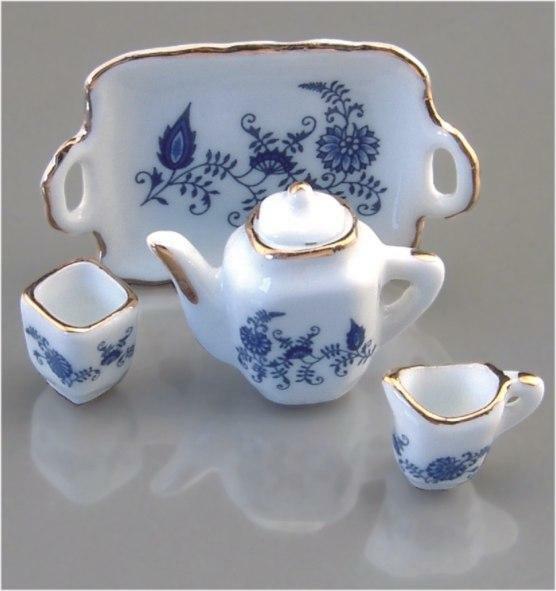 Blue Onion Tea Set - This 1/12th scale dollhouse miniature display was finely crafted to the most exacting detail in Germany, and brought to your doll house by Mary's Miniatures. This detailed Reutter Porcelain miniature Blue Onion Tea Set will help you add an authentic antique look to your miniature collection. The tray is 1-1/2" W x 1" H and the cups are attached to the saucers but can be removed if desired. This Blue Onion Tea Set is supplied by Reutter Porcelain, which generally ships within 1 business day(s) of you placing your order . M. W. Reutter Porcellainfactory Germany founded in 1948 by and produces extremely high quality Porcelain miniatures and gifts. In 1948 Martl married Willy Reutter. In 1956 Willy left his position as a precision engineer to help Martl with the company. Willy Reutter’s background in precision engineering and machine construction later lead him to develop a method of extruding small porcelain pieces out of a lifting press. Not until 1954 were the porcelain items marked with a golden stamp of the cloister of Denkendorf and with lettering "Denkendorf." 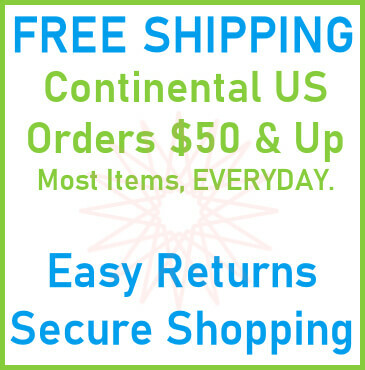 This item ships in one business day.